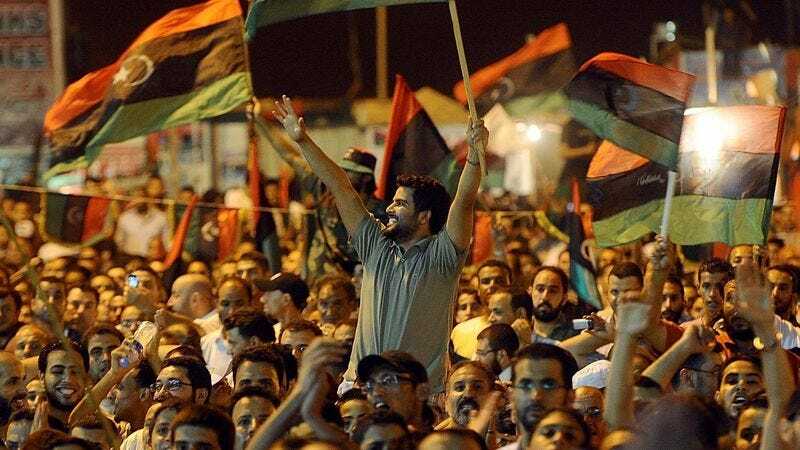 GRAND RAPIDS, MI—Americans across the nation told reporters Wednesday that with the collapse of Muammar Qaddafi’s despotic regime, they were preparing to savor the next month or so of Libya seeming like an inspirational symbol of freedom. “We’ve got a nice four weeks of thinking Libya represents a triumph of liberty before the situation begins to deteriorate and some new form of authoritarianism inevitably asserts itself,” said Michigan-based architect Wes Reinhorn, adding that while he was looking forward to the nation potentially serving as a model for other Arab countries, he would eventually realize the situation in the region was very complex, and any hope he had of Libya transforming things for the better would presumably fade away by October. “We should all enjoy this stirring image of Libya as a beacon of democracy before Islamists or a new military strongman moves in to fill the power vacuum.” Other Americans, however, said that after a month of looking to Libya as a symbol of freedom, they planned to simply stop paying attention to the nation altogether.